Another rare tee for you collection is available. 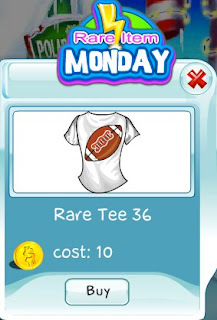 Although the Super Bowl was few weeks ago, this week's tee features a football (the American kind of football). Don't miss the chance to get Collector's Tee 36. It's available today only and will be gone soon!